This athleisure trend post is sponsored by Zappos. Let’s talk about one of the hottest new trends that has finally been validated by the fashion industry after years and years. Athleisure-wear. For years, everyone from college students to housewives and practically everyone who lives in Austin is well aware of athleisure-wear. And I mean WELL AWARE. What was just seemingly being lazy and not wanting to actually get dressed, its surprising this athleisure trend has really caught on. Years ago I would never be caught dead wearing work-out clothes outside of my house or the gym. I hate to even admit, I probably wear casual clothing 99% of the time now. Austin is such a casual city that you almost everywhere you go you’re inundated with women in their casual-wear. I remember just landing on a flight back from LA, logged on to Facebook and saw a friend post, “Yup. I’m calling it: The Austin Airport officially has more folks in yoga pants than Whole Foods or Trader Joe’s.” I immediately comment, that is going to be me in about 5 minutes. Sure enough, almost everyone, including guys, were in casual clothing. Does anyone dress up anymore?! Is anyone else as obsessed with athleisure-wear as I am? I know I can’t be the only one! If you’re a fan, then listen up! 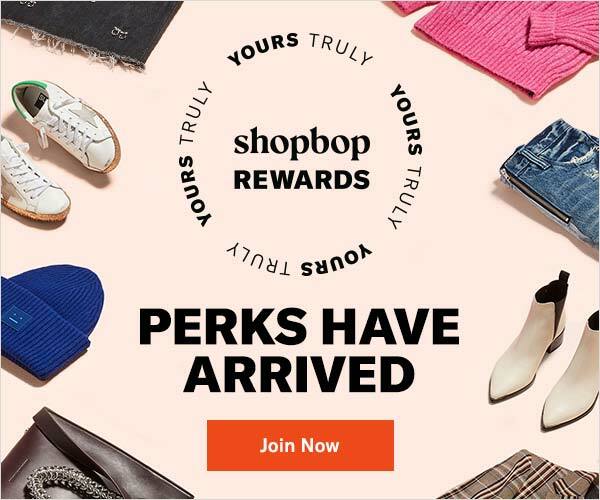 I wanted to talk about a new, limited time pop-up shop with Cotton Incorporated and Zappos.com. 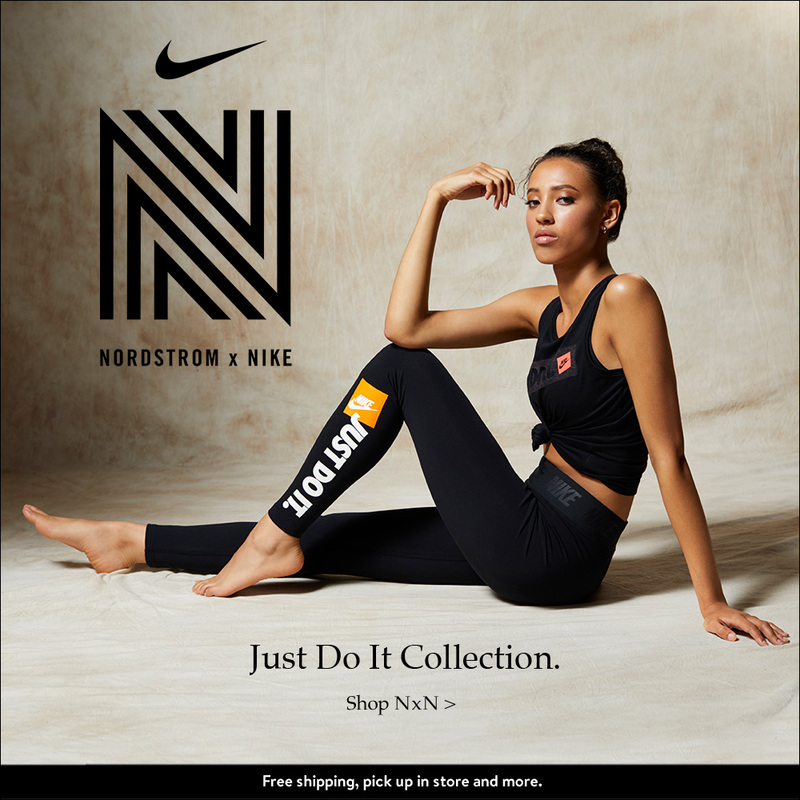 It is a curated, online collection highlighting some of the latest cotton trends for athleisure. There’s absolutely no reason that we can’t dress fabulous and chic yet still comfortable and casual! Now that the weather is warming up I have decided to retire the yoga pants and jackets and start pulling out my short, denim shorts and cozy cotton hoodies! The weather is still pretty chilly here in the mornings but if the sun is out there’s no excuse but to get a tan on these white legs and stay cozy in some soft hoodies! I call this transitional athleisure trend! While it’s not full on workout gear its still pretty casual and athleisurely. If you know me, I am all about comfortable and practical! When the weather is beautiful outside like today, sunny and a high of 75, I am immediately drawn to grabbing my fave pair of denim and this Volcom hoodie. It’s made out of cotton and is perfect for a casual look for errands, lunching, brunching, and just hanging out. Right when I saw this hoodie I knew it had to be mine. Since it’s made out of cotton it is super breathable and won’t get too hot while I’m wearing it inside or outside. If you’re not quite sure about the athleisure trend yet you can still never go wrong with grabbing something made out of cotton. It is the perfect material for spring! Cute outfit, I love your hoodie and those shoes are fabulous!! I’m a fan of this hoodie and athleisure in general. It’s just so easy and comfortable. So much YESSSS to the athleisure trend. Cozy chic all the way! Love the casual look of athleisure. You make it look so good. I even wear athleaisure to work nowadays! it’s everywhere, but I still love dressing up! I love to wear hoodies too! I especially love to contrast with a blazer on top. I’m glad the athleisure trend is still going strong. I’ve never been so comfortable! I love this look girl!! I think you’re totally rockin it and this hoodie looks so comfy and cute! You look so cute and super comfy. 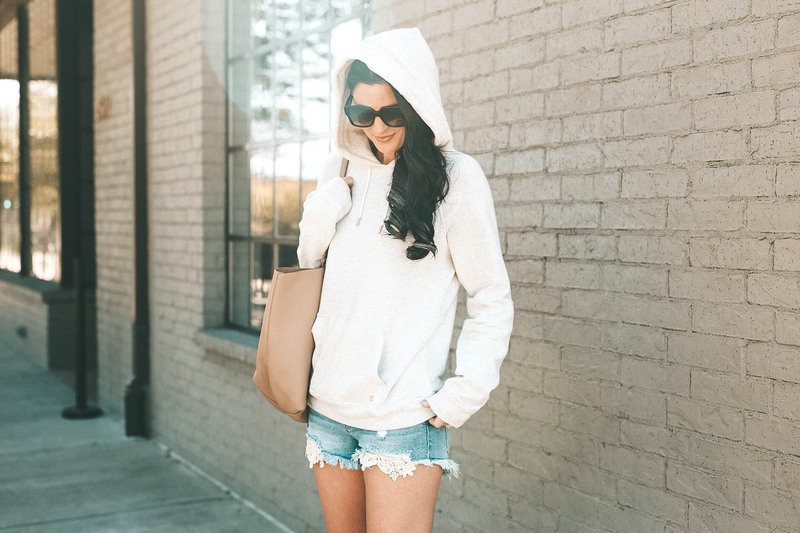 Shorts paired with a sweatshirt or sweater is one of my fav Spring combos!! i love the neutral tones – it’s so crisp but so chic at the same time! Totally love the athleisure trend and how you styled it!! I am all about comfy athleisure clothing! I live in leggings and hoodies! I love hoodies, and the softer the better! I love this casual running errands look! I love those shoes though, so pretty! You can never go wrong with hoodies and I am loving yours! Goes with so much and who doesn’t love being comfy? And loving how you styled this whole look girl. 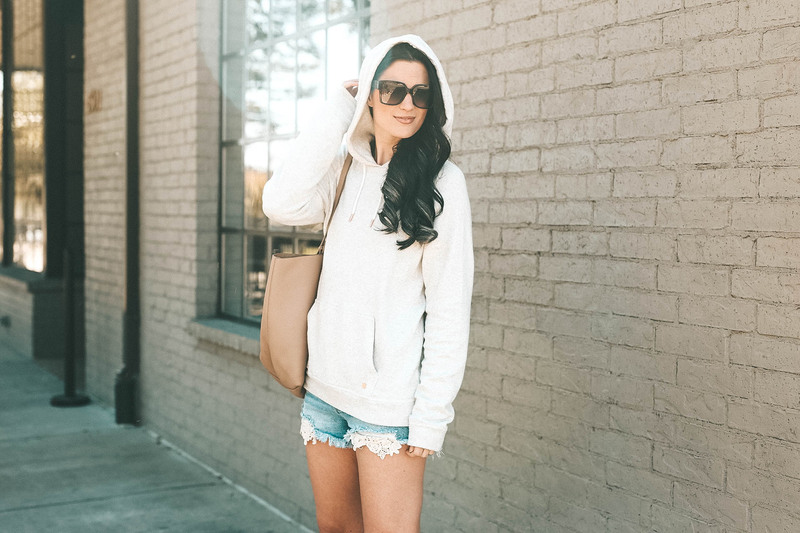 One of my fave outfit combos is hands down a hoodie or sweater paired with cutoff shorts! And I love these wedges! You are styling that athleisure wear SO good girlfriend!! I wish I could rock a hoodie as well as you! I love that hoodie… and the bag! All around, you look incredible as usual. give me all the hoodies all year long! 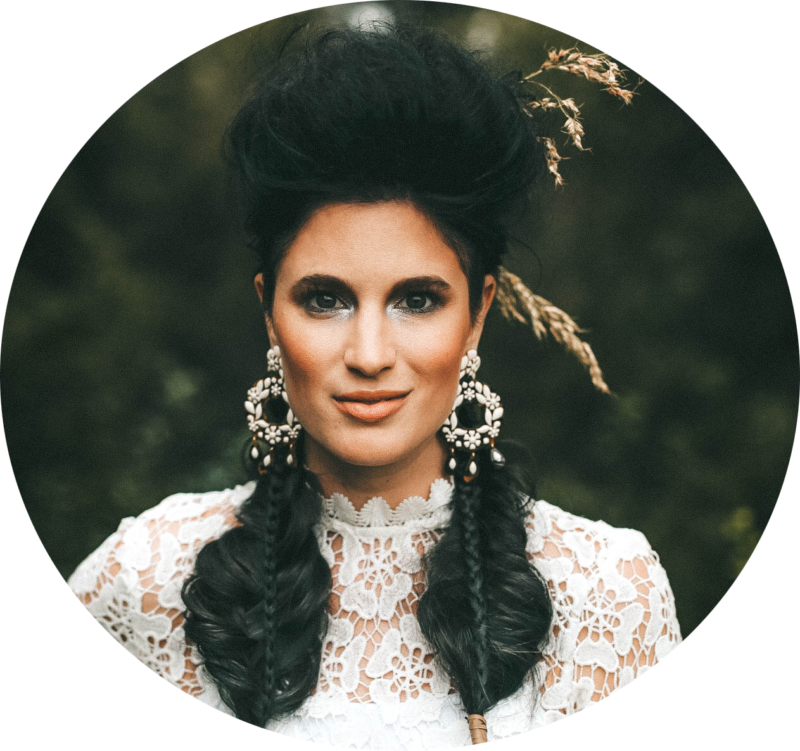 Loving this look and the athleisure trend! I mean comfy and cute, yes please! Cute!! I love that you paired a comfy hoodie with wedge espadrilles! It’s the perfect mix. You pull off athleisure like no one else! What. cute and comfy look! I am absolutely OBSESSED with Athleisure-wear. Its like, oh did you just get done with yoga— no, no Im just going grocery shopping 🙂 I also love how you made it more chic with the heels! Cute sweatshirt – looks super comfy! That sweater looks so comfortable, I love the look! This hoodie belongs in my closet! It looks so comfortable! Obsessed with that hoodie on you! Too cute! Such a cute hoodie! Perfect for the cooler spring months! this look is so cute! I love these wedges! 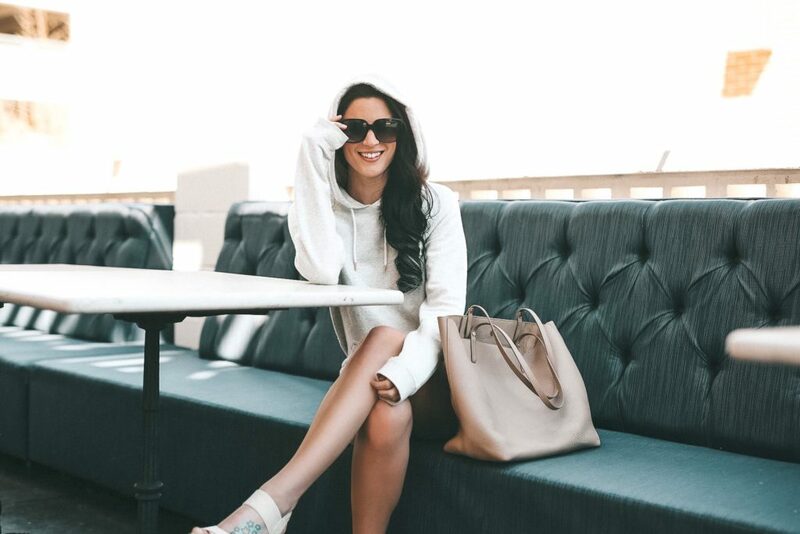 Athleisure is BY FAR one of my favorite trends and I love how you’re transitioning it into the warmer months!